Our easy to use software makes it simple to order vibrant glossy photo prints from your mobile or tablet. 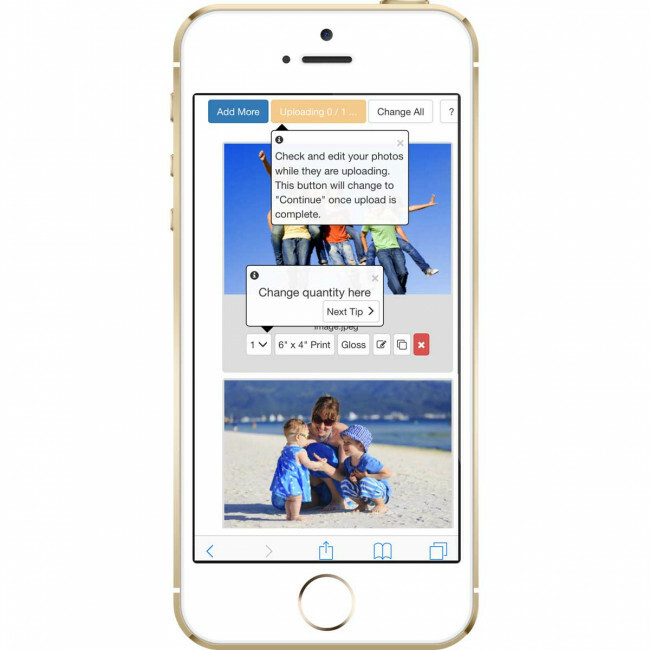 Easily print photos from your mobile online now. Our website works on laptops, tablets and mobiles producing quality prints for collection at any of our shops across the UK or for delivery to home. Alternatively, just come into one of hundreds of shops nationwide and we can print your photos instantly or in one hour. No need to bring a lead with you – we will help to connect your phone or tablet wirelessly or with Bluetooth and make great photo prints on the spot. Whether you have an iPhone, iPad, Android or Windows device our helpful colleagues will guide you every step of the way. Max Spielmann have been printing photos for over 50 years so we have the experience to give you great prints when you need them. Please note that orders for more than 100 prints may take longer than one hour to print. 8 DAY SERVICE: THE MORE YOU ORDER THE CHEAPER YOUR PRINTS!